Our team is proud to announce that we are adding another feather to ProfileGrid’s already thick cap of features. And this new feather is ProfileGrid’s integration with the most popular WordPress user registration plugin – RegistrationMagic. The RegistrationMagic ProfileGrid integration is completely OPTIONAL and for those who need advance user registration functionality. ProfileGrid inbuilt registration system is sufficient as standalone to meet basic user registration needs. To continue using ProfileGrid’s core registration forms and login system, go to ‘Edit Group’ >> scroll to ‘Group Registration Form’ dropdown >> select ‘Default’ . You can configure and customize fields of ProfileGrid’s ‘Default’ registration form here: go to ‘Group Manager’ >> Click ‘Fields’ on the Group card. The integration with RegistrationMagic now enables you to greatly enhance users’ group registration process. ProfileGrid does this by allowing you to set a custom user registration form created using RegistrationMagic as group registration form for your ProfileGrid user groups. To make use of this amazing integration feature, you need to have ProfileGrid and RegistrationMagic both activated on your WordPress site. You also need to have a user registration form already created with RegistrationMagic, and a user group in ProfileGrid. To know more on how to create a user registration form from scratch, I recommend that you read the RegistrationMagic Starter Guide. Now that you have a user registration form ready, visit the ‘Settings‘ interface of a ProfileGrid user group to set the registration form for it. On the group settings interface, locate the ‘Group Registration Form‘ option. The drop-down selection with this option will contain list of all user registration forms created using RegistrationMagic. Select the registration form you want to set for this user group and save the setting changes. Next, we’ll to map the registration form’s fields with the group’s fields. We’ll do this by visiting the group’s ‘Fields‘ interface. 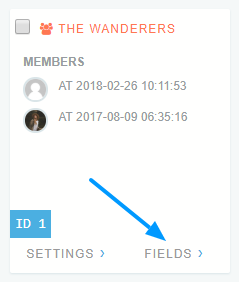 The ‘Fields‘ interface displays the fields you have in your user group. I am going to now map one of these group fields to a field in the registration form. You can follow the same process to map all the fields in your ProfileGrid user group. To map a ProfileGrid group field with a RegistrationMagic form field, click ‘Edit‘ on a field from the group’s ‘Fields‘ interface. This will take you to the settings for that particular group field. On this field’s settings interface, locate the option ‘Map with‘ under the setting section ‘Custom Registration Form‘. The drop-down associated with this option will contain the list of fields in the selected RegistrationMagic form. 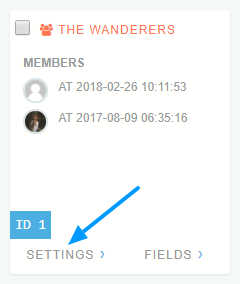 For this example, I will map the ‘First Name’ field in my user group with the ‘First Name’ field in the user registration form. Once you are done mapping all the group fields to their registration form counterparts, you are all set to take in user group registrations with your RegistrationMagic custom registration form. Important Note: With this integration active, the user registration and user login process on your site will be managed by RegistrationMagic completely. Any changes you want to make in the process should be done from RegistrationMagic. If you want to switch back to the default ProfileGrid registration process, just choose ‘Default‘ as ‘Group Registration Form‘ from your ProfileGrid User Group settings. To switch back to the default ProfileGrid Login Form, simply deactivate RegistrationMagic. The ProfileGrid – RegistrationMagic integration also adds few new Global Setting options to ProfileGrid. These options are bundled under the ‘Registration Forms‘ settings category. Registrations – Displays RegistrationMagic’s Registration tab from User Area in Settings section of ProfileGrid profiles. Payment History – Display RegistrationMagic’s Payment History tab from User Area in Settings section of ProfileGrid profiles. Inbox – Display RegistrationMagic Premium’s Inbox tab from User Area in Settings section of ProfileGrid profiles. Orders – Displays RegistrationMagic Premium’s Orders tab from User Area in Settings section of ProfileGrid profiles. Downloads – Displays RegistrationMagic Premium’s Downloads tab from User Area in Settings section of ProfileGrid profiles. Addresses – Displays RegistrationMagic Premium’s Addresses tab from User Area in Settings section of ProfileGrid profiles. With the integration of ProfileGrid and RegistrationMagic, we see a merging of two shining stars of their own domains. The former excels at user profile management while the latter at user registrations. This integration is just the beginning for lots of new possibilities opening up for ProfileGrid. As a ProfileGrid user, you can now enjoy the immense flexibility offered by RegistrationMagic for user registrations and its amazing analytics tools. If you are managing a WordPress membership site, you can use this integration to set membership plans as ‘Products‘ in RegistrationMagic, which will also allow you to collect offline payments with online user registrations. And not only that, your group registration forms will now also adapt to the design of your site’s active theme automatically. How cool is that! Try out the ProfileGrid – RegistrationMagic integration today and let us know your thoughts in the comments below. As always, we’d love to have your feedback! About ProfileGrid Development Team: Team of WordPress profiles & community experts and major contributor to the development of ProfileGrid Plugin. How can i edit fields from registration form? Please follow the steps below to edit fields to registration form. 1) Login to the WP dashboard and go to the ProfileGrid menu. 2) Here you will see the Groups list. 3) Then go to the group Fields for a group. 4) Next, you will see the list of fields for that group. You can edit, delete or add fields from here.